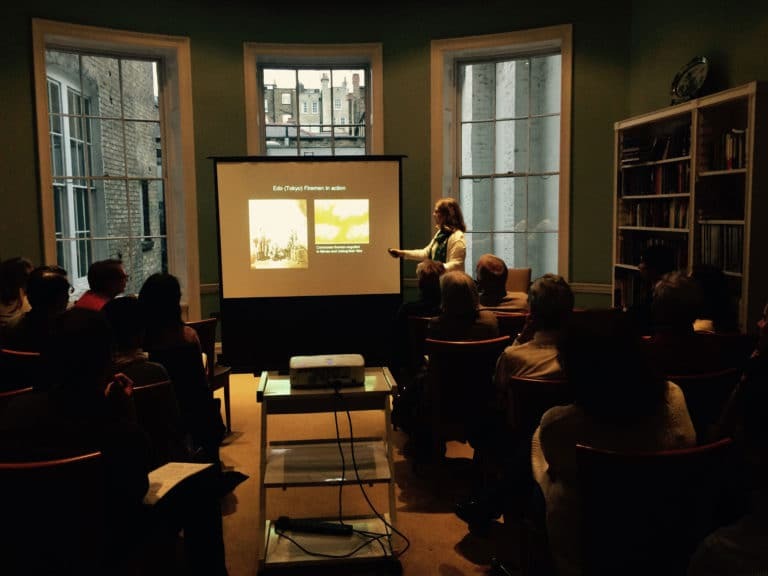 Our lecture, Blazing Guns and Noble Swords: The Spectacle of Samurai Masculinity which took place on 21 April 2016 at Asia House by Dr Doreen Mueller explored how swords and guns were envisioned in the popular imagination in early modern Japan. Here is a selection of publications where the event was covered. Blogger Emily Faulder, writer for Love Japan Magazine, the online blog and magazine for fans of Japanese culture, advertised the event on our own blog Emily Loves Japan and through Love Japan Magazine’s social media platforms. ‘This particular event caught my interest as I’ve fascinated by samurai since visiting Iga Castle in Japan, where I was able to view their weapons and armour firsthand’. The lecture was listed on the Japanese centric events website. ‘This presentation will explore the rich popular visual culture that engendered the creative reimagining of swords and guns as tokens of samurai masculinity.